The members of born all played together as RENNY AMY and subsequently D&L. Their line-up consists of vocalist Ryoga, guitarists Ray and K, bassist KIFUMI and drummer TOMO. born started their activities in May of 2007 as D&L, but had their first live as born, bug screamo Vol. 01, on April 9th, 2008 at Takadanobaba AREA. On April 16th, their first demo single, the darkly energetic and catchy Dust Pain, was released. Two more demo singles, tHiNk and with hate, followed in June and October respectively. Their second one-man live, death reddish, came on November 15th, again at Takadanobaba Area. On February 25th, 2009, they released their first full album, -Abnormal Head Machine-, and sponsored the event bug screamo Vol.04 the following day. Their third one-man live, -THE RAZOR MACHINE, was held at Shibuya BOXX on April 28th. There they released 200 copies of another single, -SAKURA-. Their first maxi-single, felony, was released on July 8th, 2009 in two versions: BOLDNESS SESSION and DECADENCE SESSION. Each included the PV for felony. Late in October, they will do a coupling tour called Sanki-CHAOS-yagyou with visual bands Lycaon and Awoi. born made their debut in the United States, appearing as musical guests at the anime convention Oni-Con in Houston, Texas, which took place from October 30th to November 1st in 2009. 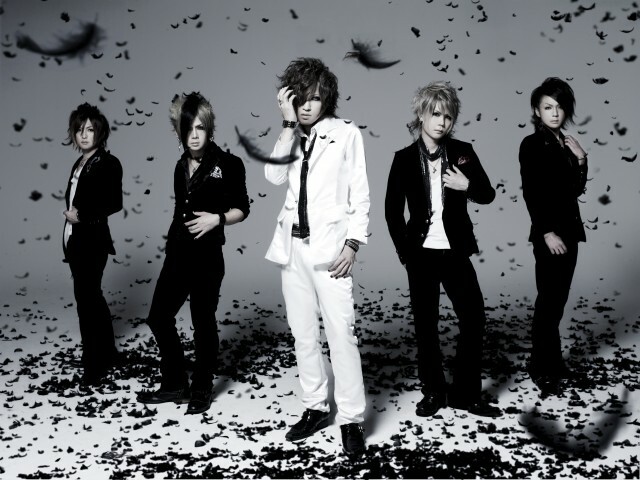 Visual kei fans will want to be sure to keep an eye out for this prolific and talented band.